Well there’s no better way to do it than in a rowing boat, canoe or punt! We have rowboats, three seat Canadian Canoes and punts that can be hired by the hour. 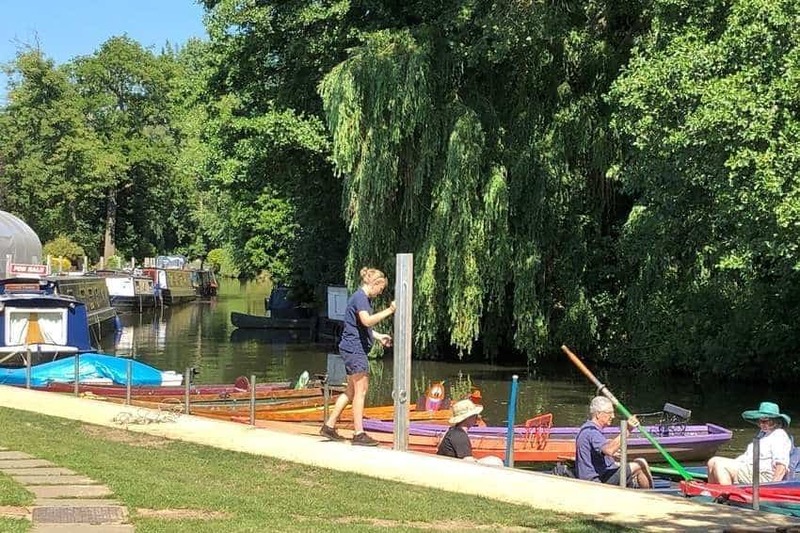 Just pay a deposit and bring the boat back to us by 5pm at the latest ;- we will even loan you a lock key if you want a full day’s rowing through the locks towards Guildford. Please note last boats out on hire at 4.00pm and back by 5.00pm sharp please. Principle hirer MUST be over 18 years of age and buoyancy jackets are compulsory. Hourly rates are calculated on the boats safe return, and to the nearest half hour. Sorry we are unable to reserve or pre-book any of the above boats in advance. All the above boats are available, subject to suitable river conditions. If you intend travelling to us, please call us first on 01483 421306 just to check river conditions before you set off.